Marketing campaign planning is a complex process. Delivering one consistent message across multiple channels to reach your audience isn’t easy. Without smart strategy and sound processes in place, it can quickly become a disorganized mess. In this post, you’ll learn how to map out successful marketing campaigns. From planning to execution, you’ll keep everything on track to guide your organization or client toward success. First, we’ll walk through how to build a marketing campaign talking point brief, outlining your strategy for client or supervisor approval. Then, we’ll show you how to map out a marketing project timeline for your campaign. Plus, you’ll get two free templates to make sure you have the tools to put this advice into practice. Grab ’em both! Are you looking for an *optimal* way to manage your marketing campaigns? ...a way that doesn't require three different spreadsheets no one other than you uses? ...a way that is *actually* designed to help you manage marketing campaigns (rather than just any old business project)? Ramp up on campaigns faster with all your moving pieces in one project. Accurately gauge timelines for your entire roadmap and know who’s working on what––at any given moment. Bring your entire workflow process into ONE centralized location. No more convoluted email threads, gaps in communication, and silos! Get approval fast and maintain control over everything your team publishes. ...alright, now let's get to business! Why Spend Time on Marketing Campaign Planning? Quality creative work doesn’t happen by accident. If you’re churning out nothing but ad hoc projects or skipping strategy sessions, then your work is unlikely to impact the bottom line. That leads to budget cuts for your department, making success even more difficult to achieve. They connect with your target audience. You should know who you want to reach, and how you want to reach them. They move the needle on your KPIs. You should be producing real results you can measure with actual numbers. They grow your business. Attracting leads and raising revenue are what this is all about. Execution without a plan is just busywork. Busywork doesn’t build businesses or make meaningful careers. Once you know what you’ll do, how you’ll do it, and who you’ll do it for, it’s time to pitch your campaign to your stakeholders. For in-house (or client-side) marketers, that could mean your boss (or their boss). If you’re at an agency, that’ll mean your clients. Campaign summary: This is a brief description of your campaign’s marketing goals and creative concept. Resources: This is your budget, team members, and projected timeline to complete the campaign. Talking Points: Break down your message into bullet points. Goals + Measurement: This is how you’ll gauge the success of your campaign. Marketing Campaign Timeline: Map out when each piece of your project will be completed. Without a clear objective, you risk producing directionless work that doesn’t deliver measurable results. You end up spinning your wheels, working hard toward nothing in particular, which is a recipe for burnout and frustration. That’s why every campaign should start with a goal in mind. Every campaign should start with a goal in mind. Our team at CoSchedule focuses on what we call 10X goals. If you’ve spent much time reading marketing blogs recently, this is an idea you’ve probably heard about. What it means is we prioritize projects that can increase our success ten times over, rather than making incremental 10% gains. Marketing that appeals to everyone often appeals to no one. The best campaigns talk to a specific audience, creating a sense of delight by delivering messaging that’s unexpectedly insightful.Your audience wants to feel as though you’re speaking directly to their unique needs. Read this post on determining your target audience. 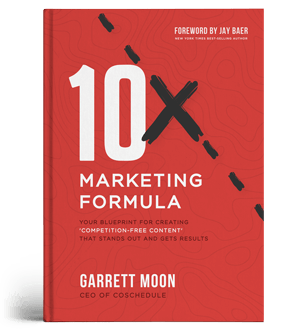 It goes in-depth on how to understand who you’re really trying to reach. If you’ve built detailed user personas, refer to them when planning your campaign. Short of being able to speak directly to customers, this is your next best option. Put your audience first. Everything you do throughout the marketing campaign planning process should prioritize your customer’s needs and wants first. Your marketing campaign should have an overarching theme that ties everything together. So, how exactly do you come up with an idea or theme for your campaign? Know what you’re going to promote. What is your campaign going to push out into the world? Follow along with this post to determine what kind of campaign you’re going to create. Use the checklist to make sure you don’t miss a step throughout your planning process, too. Think about your audience’s interests and pain points. What problems do they face and what will hook their attention? Get inspired with this post on generating campaign ideas. It’s focused on social media, but the concepts and techniques it discusses can be broadly applied to all areas of marketing campaign planning. This post on social media campaign planning digs into the nuts and bolts of building an executable strategy. Again, it’s focused on social media, but the general ideas presented can apply to whatever you’re working on. Tip: Your “big idea” doesn’t necessarily need to be groundbreaking. You just need an overarching theme that connects all the pieces of your campaign builds a consistent experience for your audience. When we need to brainstorm ideas at CoSchedule, we often use a simple three-step process. If you’ve followed our blog for a while now, you might have heard how it works before. If not, let’s walk through the steps. Get your team together in a room. Then, have everyone spend ten minutes writing down as many ideas as they can. Don’t worry about the quality of those ideas yet. Next, spend ten minutes reading each idea aloud. Have each team member score every idea on a three-point scale. Three’s are ideas you think are home runs, two’s are average, and one’s are no-go’s. Expect a mix of all three. Third, spend ten more minutes reviewing each idea that everyone agrees is a three. These are your best ideas and the ones you should go with. By following this process, you can wrap up your campaign brainstorming in half-hour to an hour (depending on how much time you spend discussing ideas at the end). Having an awesome creative concept matters little if you can’t actually execute it. So, understanding your available resources is key for ensuring you don’t over-promise and under-deliver. Determine who you’ll need on your team. This includes writers, designers, project managers, and anyone else who will be responsible for executing your campaign. If you’re an agency working with a client, be mindful of your budget. An account manager will likely negotiate this amount for you. Determine which tools you have at your disposal. If you don’t have the right resources to effectively execute your ideas, consider proposing getting them. Be realistic. Figure out what you can do within the parameters of your available resources. What has done well for you in the past? How can you stretch your resources to achieve more than you have before? Producing content for its own sake is a waste of time and money. And if you want your department or agency to maintain positive cash flow, you’ll need to show how your efforts are making a measurable impact. Start by choosing KPIs (key performance indicators) and metrics wisely. Have one overarching goal for your campaign. Ex: increasing leads, raising revenue, driving brand awareness, etc. Choose metrics to monitor for every channel. That means having unique KPIs for social media, email, blog posts, and so forth. Your campaign should drive home a clear and consistent message across every channel it touches. However, you’ll likely have different team members working on different pieces of your execution. So, how can you make sure every piece of the puzzle fits together into one cohesive campaign? The answer starts with developing clear talking points. Strong talking points help keep everyone on message. Put them together in a shared internal document your team can reference. Identify the main message behind your campaign. This should be your first bullet point and the most important message you want to drive home. Anticipate questions you’re likely to be asked. What should your audience know about what you’re promoting? Get in front of questions they’re likely to ask up front. Convey clear benefits. What’s going to make people care about your campaign? You know what you want to achieve. You’ve determined the customers you’re trying to reach (and developed messaging to reach them). Now, you need to figure how and where you’ll deliver your marketing messages. Are there channels where we’ve traditionally done well? Go where you know your people are. Are there channels where we need to develop a larger audience? It might be worth planning campaigns around weak channels to build them into better resources for your brand. Are there constraints on our time and resources? If you don’t have enough money for a TV spot, social media campaign, and magazine ad, you’ll need to scale back what you can do. Stick within your budget. There are multiple different ways you can line up your channel selection. One common approach is called the hub-and-spoke model. This entails creating one central asset (like a landing page) where you direct traffic from other sources. For one example, you might create one landing page with an opt-in form, and then promote it via social media and email. The landing page would be your hub, and your social media posts and email newsletters are its spokes. You could also decide to focus on just one channel for your campaign. It could even be as simple as a series of related social posts on one network, or an email series directing back to a particular web page. The main takeaway here is this: Your campaign doesn’t have to be complicated. Just do what will help you achieve your goals. Which Channels Make the Most Sense For This Campaign? Ultimately, your goals should drive your channel selection. For example, if your aim is to increase brand awareness, visual platforms like Instagram might be the way to go. However, if your goal is to generate leads, you’ll likely apply some combination of SEO, PPC, email marketing, and social media to direct traffic to a custom landing page. What do I want my customer to do? Ultimately, what’s your desired outcome for your audience? How can I get them to take that action? Think about how you can take your customer from point A (discovering your product or service through a piece of campaign collateral) to point B (completing your conversion step). Once you have your plan in place, it’s time to map out the execution for your campaign. This entails laying out a detailed workflow for each piece of your campaign, from start to finish. Let’s complete this step using the marketing campaign timeline template included in this post. Each channel that’ll be part of your marketing campaign. For example, this could include PPC ads, landing pages, blog posts, social media posts, and so forth. Each team member responsible for completing each piece of your campaign. Each team member’s role. Ex: writer, designer, project manager, etc. Due dates. In the Weeks fields, note when each project will be published. This will give you a clear overview of what your campaign’s execution will look like. By the time you’re done, you’ll have built a complete timeline. We know that managing all the moving pieces of a large integrated campaign can be challenging. That's why we built Marketing Campaigns into CoSchedule. It's a feature that allows you to easily organize every component every campaign, all on one marketing calendar. 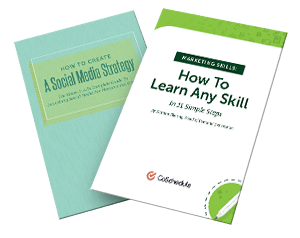 You’ve got the tools and the knowledge you need to plan detailed marketing campaigns. Now, it’s time to get down to work.